All simulators run sophisticated software that replicates an aircraft flying. To achieve this, it must mimic the interaction between the aircraft and the air it is moving in, while also keeping track of its position and orientation in the world. To 'immerse' the user in the flight experience, this world must be simulated to a great degree of realism. Consequently, simulation software not only concerns flight models and aerodynamics, but also a great deal about roads, seas, rivers, landmarks, hills, mountains, weather, buildings and ground textures. Because of its complexity and the broad range of functionality required, all simulation software packages can be seen as a bunch of modules that are each responsible for replicating one particular aspect of the flight experience. Modules that are always part of a flight simulator package are the flight, weather and landscape engines. In reality, this modularization is far more complex than presented here. Another common feature is the fact that the modules are extendable, meaning that you can extend or change the functionality of the basic software. So, you can choose more detailed landscape meshes and textures, or create a new flight model along with a new aircraft type. These extensions are called add-ons, and there are a lot of them, which greatly enhances the maturity level of flight simulation. In this section, you will find a comparison of the most important flight simulation packages to date: Microsoft's FSX, Lockheed Martin's PrePar3D, X-Plane from Laminar Research and the open source simulator FlightGear. There are a lot of add-ons that do a remarkably good job when it comes to simulating a very realistic environment. Often, scenery add-ons only cover a specific region. 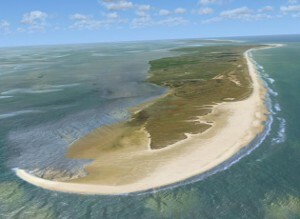 However, more recently, there have been initiatives to enhance the scenery of the entire world in a single add-on. 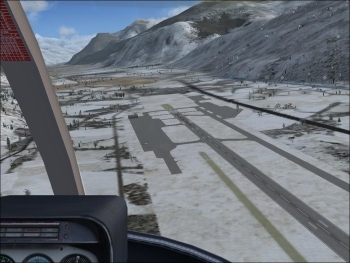 We provide an overview of the most important scenery and weather add-ons. Without a doubt, one of the coolest things about flight simulators is that there are add-ons for virtually any aircraft you can think of. 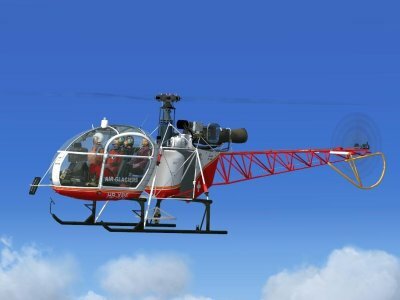 So, you’ll always be able to find your favourite helicopter model.